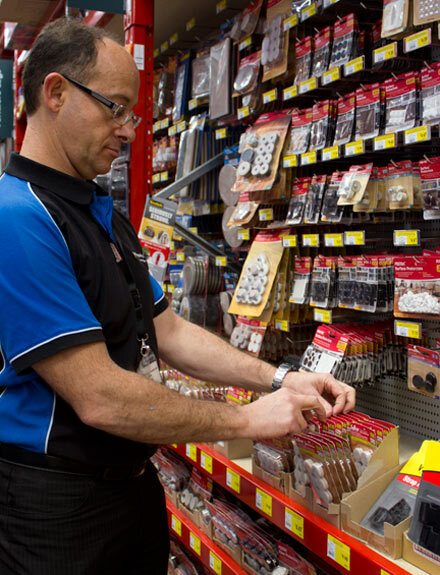 Cornerstone Merchandising Solutions was established in 1985 as a specialised sales and merchandising organisation (named Cornerstone Hardware Brokers Pty Ltd), providing retailing services to the Australian and New Zealand hardware industry on behalf of a variety of clients. We constantly strive to achieve outstanding sales results for our clients by working at store level and providing valuable assistance to their business. We have the functionality to provide either a shared or dedicated salesforce to our clients in one or a number of hardware specialists and mass-merchants nationally. We specialise in the introduction of new products to the Australian and New Zealand hardware market from international sources and provide close ties to warehousing and distribution services. Cornerstone Merchandising Solutions’ call rate is higher and more efficient than would be practical and economical for a manufacturer’s or distributor’s representatives. Key corporate stores are called on a weekly and/or fortnightly basis, and all independent stores are graded with regional independent stores serviced on a regular basis. Browse our site to find out more about how we can help you, and feel free to contact us for more information.